When the dust settled, he and the other monks — almost all of them transplanted from the United States — found their beloved Basilica of St. Benedict, built centuries ago in Norcia in the central Italian mountains to mark its namesake’s birthplace, in ruins. After the Oct. 30 quake, one of the few things left standing at the monastery was a small brewery, where for the past four years the monks have been making Nursia, a beer named for Norcia’s ancient Latin appellation. Their brew may now be the salvation — symbolically, at least — not only of the monks’ sanctuary, but also of Norcia itself. This ancient walled city is a ghost town of ravaged churches and cracked palazzi, and is still struggling to recover from the strongest earthquake to strike Italy in 36 years. The monks are planning to move the beer from the brewery to a safer location, where it can be bottled and specially labeled before it is sold to raise money for reconstruction, Father Nivakoff said. The monks set up a website for their fund-raising efforts after the basilica and monastery had been weakened by earthquakes and aftershocks in August. “The campaign started then — now we need to add a few more zeros,” said Father Nivakoff, the prior of the monastery. It is not be the first time the monastery has had to revive itself. The American monks arrived in 2000, under a plan by their order, the local archbishop, residents and town officials to populate a priory that had been abandoned since 1810, when Napoleon suppressed monastic orders here. Led by Father Folsom, who is the prior emeritus, the monks now number 15. They learned beer-making from experienced Trappist brewmasters in Belgium, and began to make Nursia in 2012. The beer’s name was chosen “specifically to help the townspeople, rather than naming it after St. Benedict,” Father Nivakoff said. “We wanted people to identify the beer with the town,” and to help support it, he added. Other monastic brewing operations, he explained, have grown into million-dollar enterprises with many workers. In Norcia, the monks do everything themselves, producing around 10,000 bottles each month. The monastery’s beer varieties quickly gained an enthusiastic following in local shops and restaurants, and the brewery began exporting to the United States this year. If many of the regional venues that sold the beer are shuttered because of the earthquake, it is still available through American importers, the monks said. St. Benedict, whom Pope Paul VI named a patron saint of Europe in 1964, and his twin sister, Scholastica, who also later became a saint, were born in Norcia around 480, and the remains of what some believe to be their house were once visible beneath the basilica. Benedict founded several monastic communities, including one at Monte Cassino, where he died in 543. His Rule of St. Benedict, a series of teachings for monks, formed the basic precepts for thousands of monasteries in Europe. The monks’ message also achieved global recognition in 2015 when “Benedicta,” an album of traditional Latin Marian chants, spent 19 weeks at No. 1 on Billboard’s classical chart. Singing, Father Folsom explained, “is our spiritual nourishment — that’s where the spiritual energy comes from.” He added that the monks chanted for about six hours each day. “It’s very much a part of our lives,” the Rev. Basil Nixen, the monastery’s choirmaster, said. 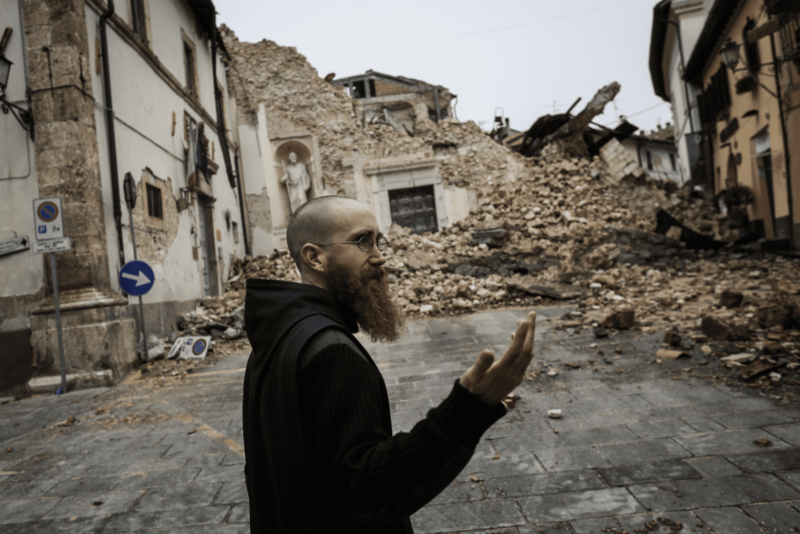 Before the earthquake, the muted hums of the chanting monks were familiar sounds in Norcia. The beer has also become very much a part of their lives. If fund-raising efforts can help both the sanctuary and Norcia live again, they say, the monks are happy to repay their benefactors — even in a small, frothy way.